At Lethbridge Volkswagen, we offer our Assurance Program to owners so they can always drive with peace of mind. Volkswagen Plus Owner Privileges Program. 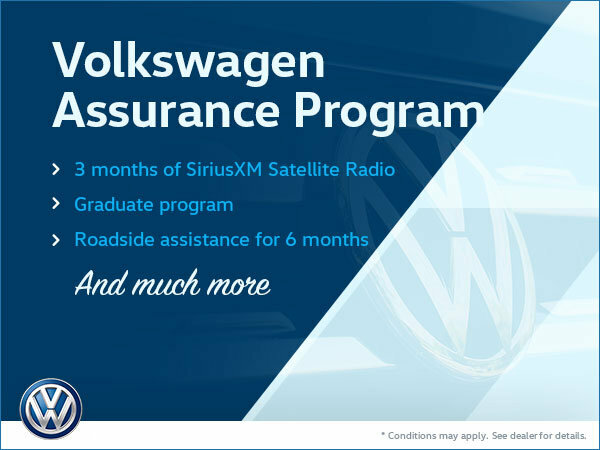 If you’re interested in extended warranty coverage and roadside assistance, opt for the Volkswagen Assurance Premium Program! What are you waiting for? Get certified today! Some conditions apply. To learn more, contact our dealership today. Think of it as a thank you -- from us to you!